The state’s largest labor federation, the Minnesota AFL-CIO, added to its list of endorsed candidates for state and federal offices yesterday, as Labor’s 2014 political push continued to take shape locally. 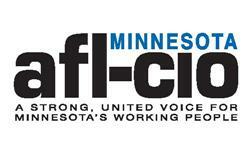 Most notably, the Minnesota AFL-CIO backed 55 DFLers running for the Minnesota House of Representatives. 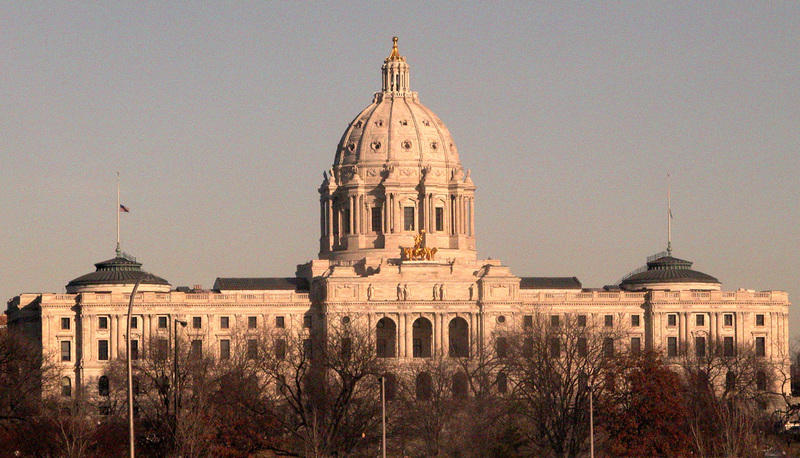 The DFL Party will look to defend its 12-seat majority in the House in balloting Nov. 4. Members of the Minnesota Senate, where the DFL also controls a majority of seats, will not stand for re-election until 2016. The Minnesota AFL-CIO also announced yesterday its endorsement of Minnesota Rep. Steve Simon for Secretary of State, incumbent U.S. Rep. Collin Peterson in the 7th Congressional District and Sharon Sund in the 3rd District. Earlier this year the state AFL-CIO endorsed Gov. Mark Dayton and his running mate, Tina Smith, along with six DFL candidates for federal offices: Sen. Al Franken; Reps. Betty McCollum, Keith Ellison, Rick Nolan and Tim Walz; and Mike Obermueller, Rep. John Kline’s opponent in the 2nd District. Minnesota AFL-CIO Secretary-Treasurer Steve Hunter said the federation and its 1,000-plus affiliate unions will work to get the state’s 300,000 union members – and 250,000 members of the AFL-CIO’s community affiliate, Working America – to the polls in support of labor-endorsed candidates this fall. In the East Metro, endorsed House candidates include incumbent Reps. Barb Yarusso (District 42A), Peter Fischer (43A), Leon Lillie (43B), Sandra Masin (51A), Laurie Halverson (51B), Rick Hansen (52A), Joe Atkins (52B), JoAnn Ward (53A), Dan Schoen (54A), Will Morgan (56B), Erin Murphy (64A), Rena Moran (65A), Carlos Mariani (65B), Alice Hausman (66A), John Lesch (66B), Tim Mahoney (67A) and Sheldon Johnson (67B). Other East Metro candidates endorsed yesterday include Paul Gammel (32A), Laurie Warner (32B), Greg Pariseau (38B), Tim Stender (39A), Tom DeGree (39B), Kay Hendrikson (53B), Don Slaten (54B), Denise Packard (57B), Amy Willingham (58A), Marla Vagts (58B) and Dave Pinto (64B). The federation noted it expects to add to the list of endorsed candidates in the coming weeks and months.